Centered in the Dordogne region of southwestern France, one of Europe's most concentrated regions for Neandertal and early modern human occupations, writer Beebe Bahrami follows and participates in the work of archaeologists who are doing some of the most comprehensive and global work to date on the research, exploration, and recovery of our ancient ancestors. 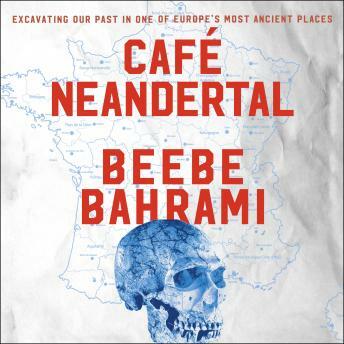 From this prehistoric perch, Bahrami gets to know first-hand the Neandertals and the people who love them-those who have devoted their lives to them. She is thrown into a world debating not only what happened to these close cousins but also what legacy they have left for those who followed. Cafe Neandertal is also a detective story, investigating one of the biggest mysteries of prehistory and archaeology: Who were the Neandertals? Why did they disappear around 35,000 years ago? And more mysteriously, what light do they shed on us moderns? Bahrami takes readers into the thick of an excavation, neck-deep in Neanderthal dirt, and to the front row of the heated debates about our long-lost cousins.